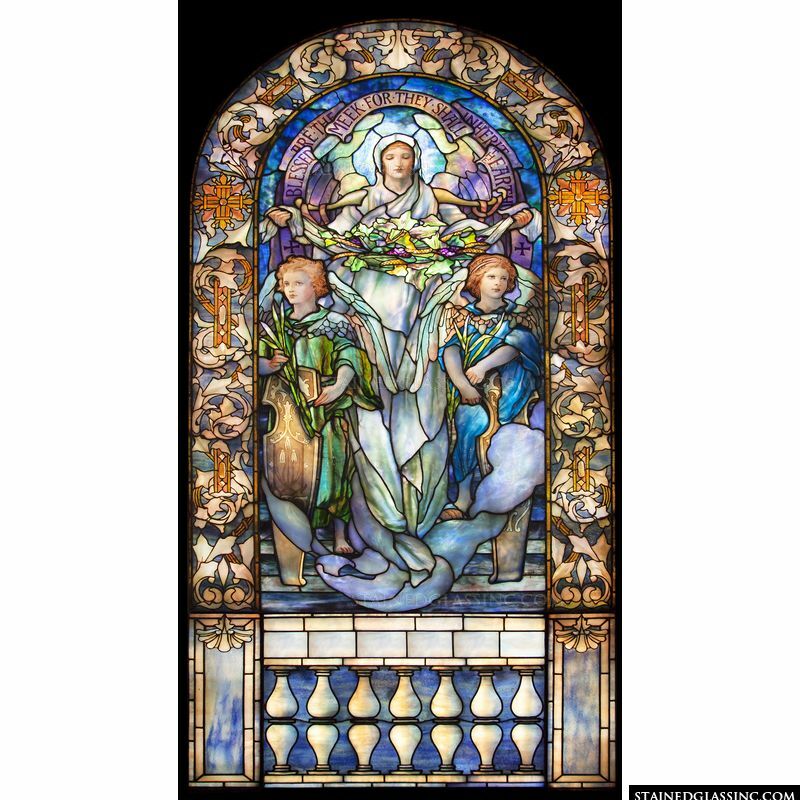 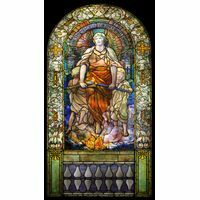 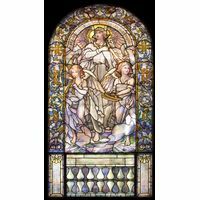 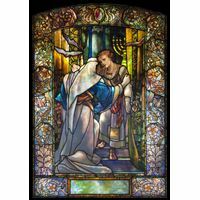 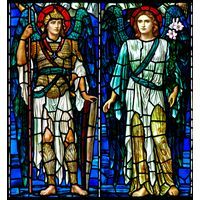 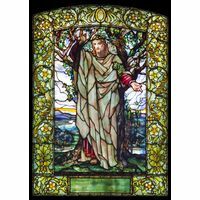 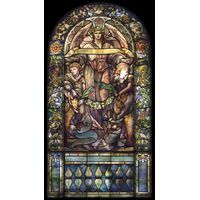 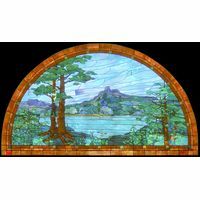 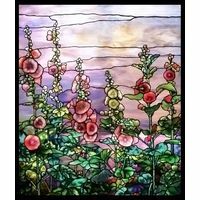 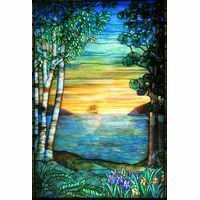 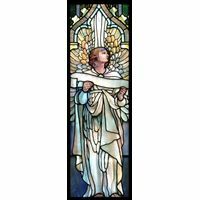 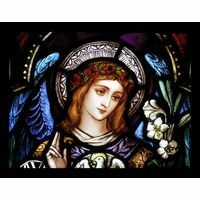 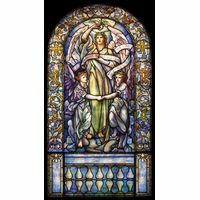 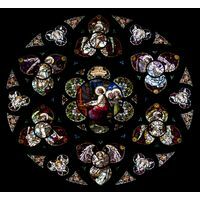 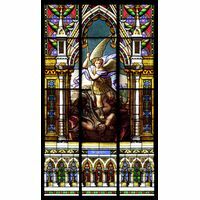 This glorious Tiffany style stained glass window will inspire your congregation for years to come. 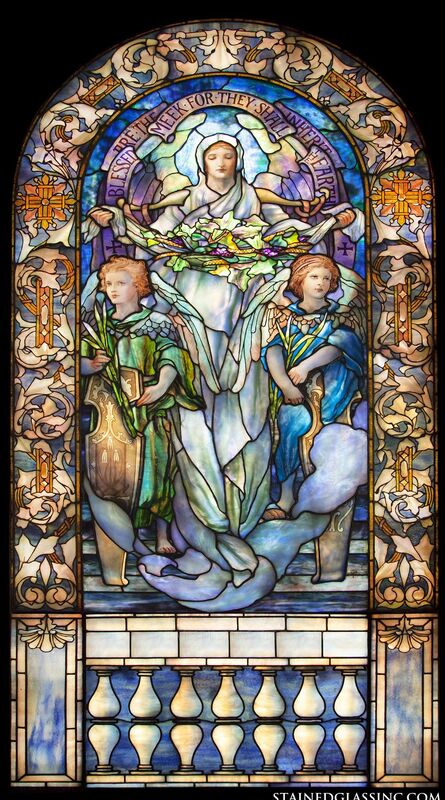 With a gorgeous image of angels in brilliant color, this panel will shine as the sun beams through. 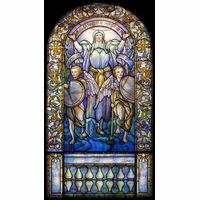 Add this piece as a window or door insert in your church today.